Debra has over 30 years’ experience of financial markets experience including global investment portfolios in Asia, Australia and New Zealand. Her focus in recent years had been on Māori economic development particularly in the dairying, honey, kiwifruit, tourism, forestry, affordable housing and funds management sectors. 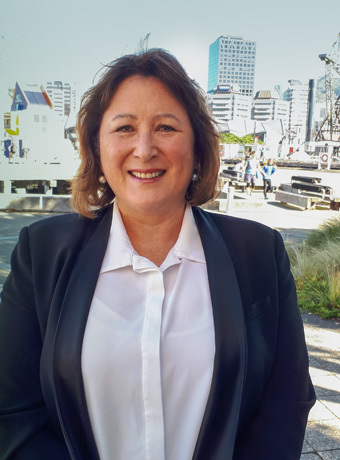 For five years, from 2012 to 2016, she was General Manager, Investments at Te Tumu Paeroa leading the organisation's investment strategy to optimise Māori land and assets. She was one of the founders of a unique private equity fund model for Māori/Iwi which will co-invest alongside institutional investors over a 15-year timeframe, and which has raised $115 million from 25 individual Māori /Iwi investor entities. Debra is currently a non-executive Director of Tourism Holdings, Ruapehu Alpine Lifts, White Island Tours, Ngāti Awa Group Holdings, LGNZ Independent Assessment Board, Te Pūia Tāpapa GP, Tūwharetoa Hau Rau GP, New Zealand Venture Investment Fund and a Trustee of Wellington Free Ambulance Trust and Raukawa ki te Tonga. She also Chairs a number of Investment Committees and a member of Audit, Finance & Risk Committees. She is a Chartered Member of the New Zealand Institute of Directors, a Registered Financial Adviser, a Member of the Institute of Financial Professional NZ Inc (INFINZ) and has a post-graduate certificate in Investment Analysis from Otago University. Original generation time 2.9041 seconds. Cache Loaded in: 0.0234 seconds.